Using my AppShortcuts plugin, you can add Dynamic shortcuts to your Xamarin Apps. Android and iOS also provide Static shortcuts which require much less code and can be useful in certain scenarios. Learn how to add Static shortcuts to your Xamarin Forms iOS or Android apps. With the introduction of Oreo, Android announced a new feature called Autofill which allows form elements to be supplied with user data from system wide data providers. Learn how to use this within your Xamarin Forms apps by creating a Platform Specific Effect which can update your Android label. App Shortcuts provide users with quick actions into our apps that enhance the UX. They can be static, where they're declared as part of the app's manifest, or can be added dynamically through code. Learn how to add App Shortcuts in a Xamarin Forms app, using the AppShortcuts Plugin. Animations, providing they are done right are an essential part of a good UX. Although CSS3 provides a rich animation library, Angular enriches this to provide a extensive array of effects. See how you can use both Angular and CSS to animate a hamburger menu containing a dynamic list of menu items. Angular's DatePipe does a great job of formatting Date strings or objects into specified formats, however, if you want to pass in a time string like "09:00" you're out of luck. Here's a Pipe which extends the standard DatePipe in order to provide that functionality. 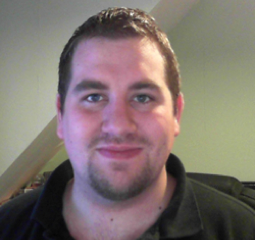 Hi, I'm Aden, a .Net dev from the north of England. I try and build apps but sometimes give up and play guitar instead.